Hi everyone, I have a part number request, and would greatly appreciate it if you could help me find the right part #. Anyway, I have a 2009 Cayenne V6 manual, left hand drive- US spec. I had an issue with the left headlight pointing too low and after I took it out, looks like it's been in an accident and not fully repaired. 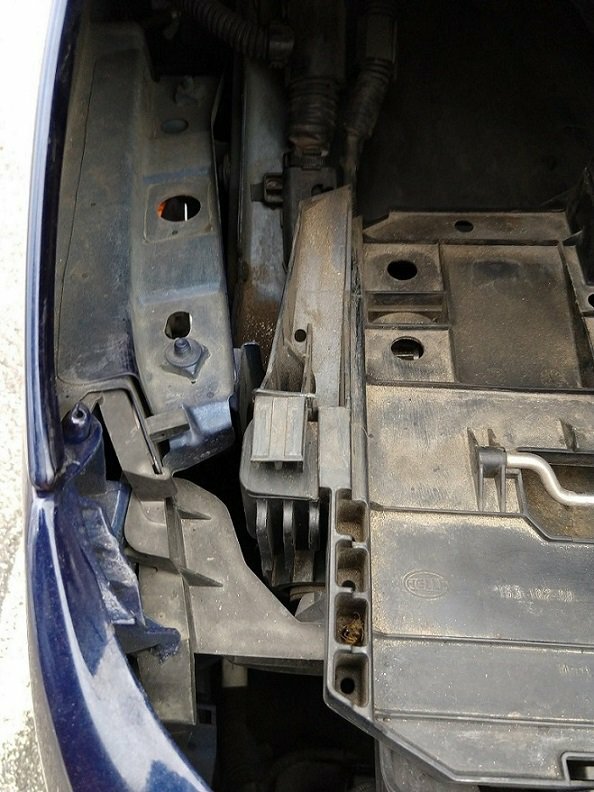 The part that is to the side of the headlight mount it broken (circled in the picture), causing it to sit lower and it can be easily moved up and down. 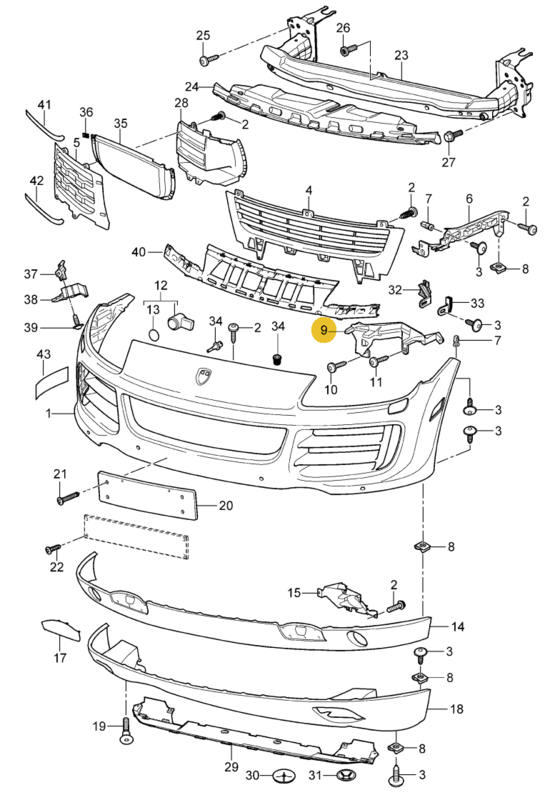 I have looked in "Lining front" diagram but none of the part pictures online seems to match the broken item. I have also included the picture of the other side where the part is not broken for the reference. 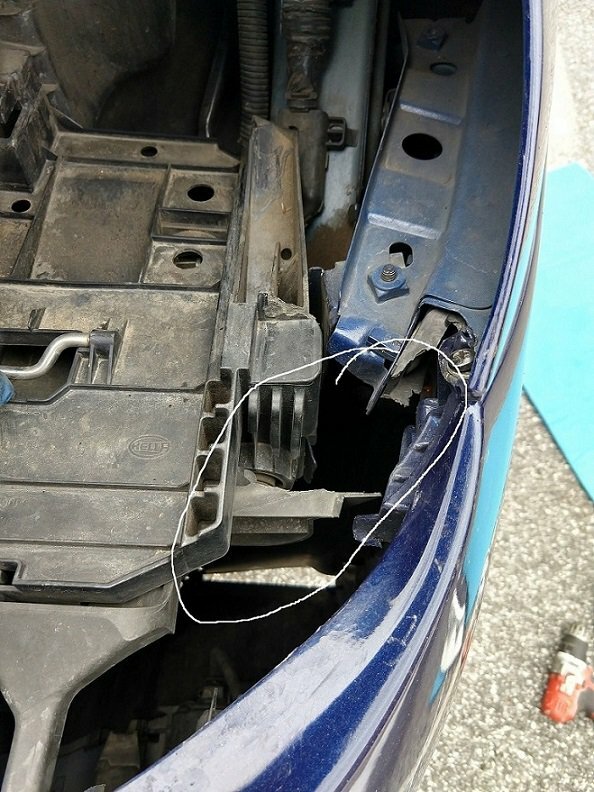 Are you sure that is not part of the headlight mount? I think it looks like it's part of front bumper or the fender, as you can see the other side where it's not broken. Also, I've looked at few pictures of the new headlight mount and it doesn't seem to be a part of it. I ordered both 6 and 9, and also the headlight mount since it had a broken tab as well. I guess I'll replace them all while I have the front bumper off. Thanks. Today I had a chance to take off the front bumper, cleaned off the leaves, then replaced that broken part along with the headlight mount.